The Santa Cruz Mountains continue to get pounded by rain and that's causing new trouble. Wednesday night, the hillside gave way near Mount Hermon. 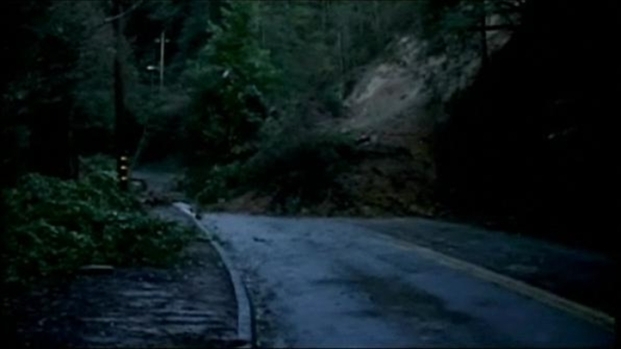 The landslide blocked Conference Drive, the main roadway into Mount Hermon. It also briefly knocked out power to the community. That has since been restored. Crews will work today to clear out the debris. The roadway could be open as early as 6 p.m. You can find updates on the road closure by clicking here. The Mount Hermon slide happened just about five miles from the rock slide near Scotts Valley that happened on Monday. Santa Cruz County is not sure when they will be able to clear that up. Santa Cruz Mountains landslide near Mt. Herman.